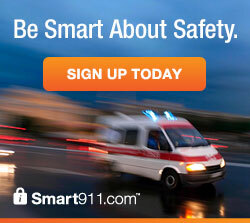 Smart911 is a comprehensive software program that facilitates data and communications in the event of a 9-1-1 call. With Smart911, Michiganders can create an extensive online profile, which displays to dispatchers when a 9-1-1 call is made. Critical information such as home address, bedroom location, pet information, medical details and whether households include people with dementia or children with autism can all be provided and can improve response. Residents are encouraged to create free Safety Profiles on Smart911.com, a secure information platform that instantly tells 9-1-1 dispatchers vital information that can assist in an emergency. When an individual dials 9-1-1, their completed Safety Profile will automatically display. It is important to note that Smart 911 is now a statewide deployment, so it can be a helpful resource when traveling anywhere in the State of Michigan, not solely in the County in which residents reside. Smart 911: What is it? Smart911 allows residents to provide the additional details that 9-1-1 call takers may need in order to assist them during an emergency. When you dial 9-1-1 today the information received by the 9-1-1 call center can be limited based on the type of phone you are calling on. With Smart911, anytime you make an emergency call from a phone registered with your Safety Profile, the 9-1-1 systems recognizes your phone number and automatically displays your profile on the screen of the call taker who receives your call. At a time when you may be panicked, or unable to communicate, or it could be unsafe to communicate, Smart911 ensures that the details you would need to tell 9-1-1 are immediately available in the event you cannot verbally provide them. Smart911 is free, private and secure. When you complete registration, Smart911 will automatically direct you to your Smart911 Safety Profile and will send a message to your registered email address confirming your account. Smart911 will not deliver your Safety Profile to 9-1-1 answering centers unless you have verified the phone(s) listed in your profile by responding to the text message or automated call placed to that phone. Your Safety Profile will only be displayed to a 9-1-1 call taker if you place a 9-1-1 call from a phone confirmed with your Smart911 account, and the 9-1-1 center receiving your call participates in the Smart911 program. You are in full control of the information you enter and the phone numbers you choose to associate with your Safety Profile. You can change your sharing preferences and Smart911 Safety Profile content at any time by logging into your Smart911 account and clicking on settings. Privacy & Security Is my information kept private? Yes. Your privacy is important to us. Your information is made available ONLY to 9-1-1 call takers and responders ONLY in the event you call 9-1-1. Smart911 utilizes the highest standards in physical and computer security technologies and conducts regular audits to ensure all information held in Smart911 is kept secure, and only made available to 9-1-1 and emergency responders who are responding to or planning for emergencies. It’s our business to protect your information and ensure it gets to the people that need it, when they need it. Smart911’s lifesaving service has been recognized by thousands of trusted sources across the county, is accredited by the Better Business Bureau, and secured by SSL and Norton.